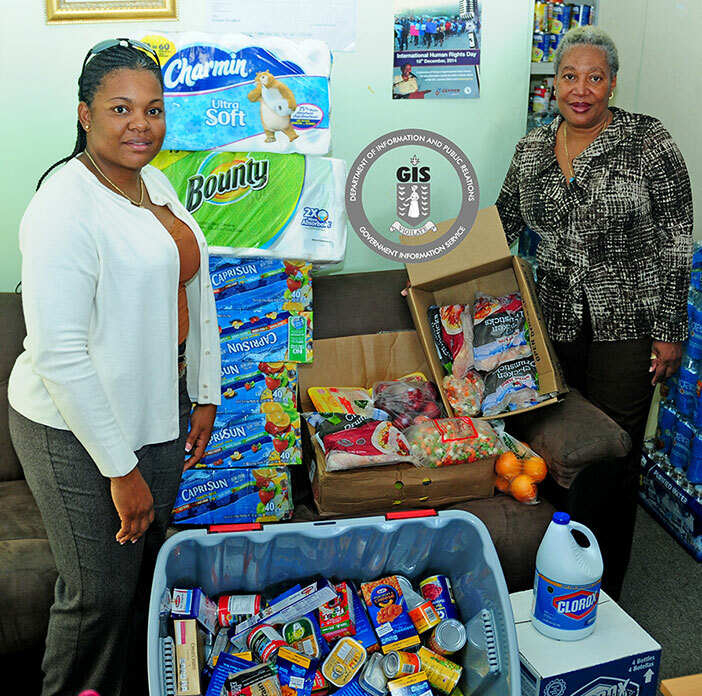 Postmaster General Ms. Pascha Stoutt is pictured handing over food supplies to the Director of the Family Support Network, Dr. Sylvia Simmonds on March 16. 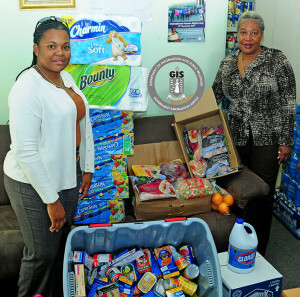 The BVI Post collected the food items by donations from staff and members of the community earlier this month. (Photo Credit: Ronnielle Frazer/GIS).